I just came back from two weeks in Europe. It was the first time I was there while keenly aware of renewable energy and our environmental impact. I spent a majority of the time in Germany and was very impressed with what I saw. I drove through most of Bavaria (or Bayern). Almost every town, no matter how small, had at least one house or barn with solar panels on its roof. 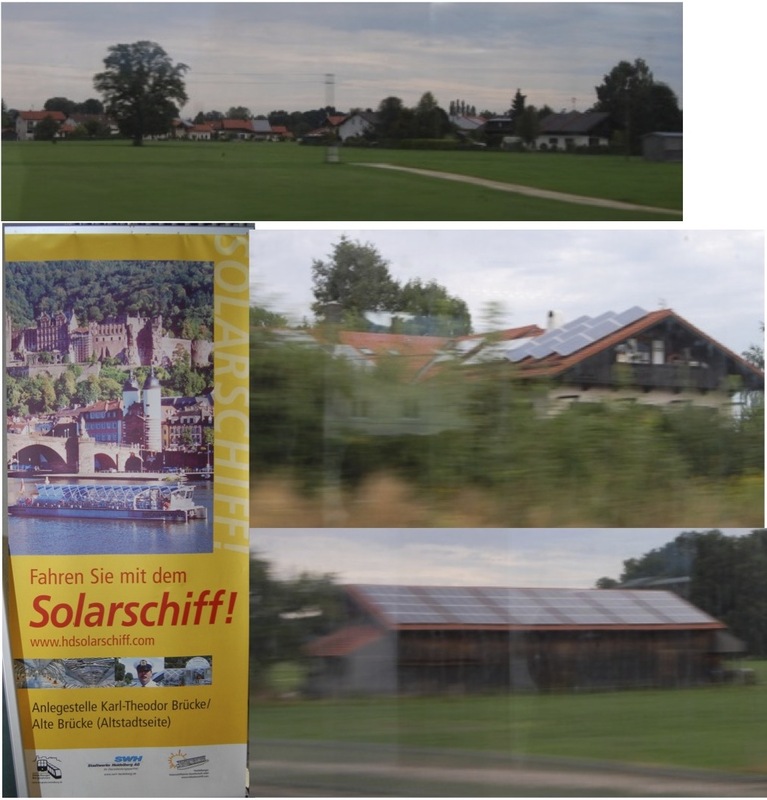 Driving along the autobahn I saw several solar panel farms. I did not go out of my way and yet I saw solar energy everywhere. If a roof wasn’t at a good angle, the solar panels were tilted on top of the roof. You can see examples in the pictures below. Even as I was working on creating this post, I came across an article on Treehugger (one of my favorite sites) about Germany’s solar power. Their pictures are of better quality and look like what I saw while I was there. I was very glad to know that what I saw was being used. Categories: Personal Stories, Renewable Energy | Tags: environment, Germany, Renewable energy, Solar panel, solar power | Permalink.